I'm a busy mom. I home school, I cook, I clean, I exercise, and more. I get stressed out. I get anxiety. Sometimes it's really hard for me to relax. I have tried a few different drink mixes in the past but try to stray from them since many have not so healthy and questionably safe ingredients in them. I like to try products that are more natural. 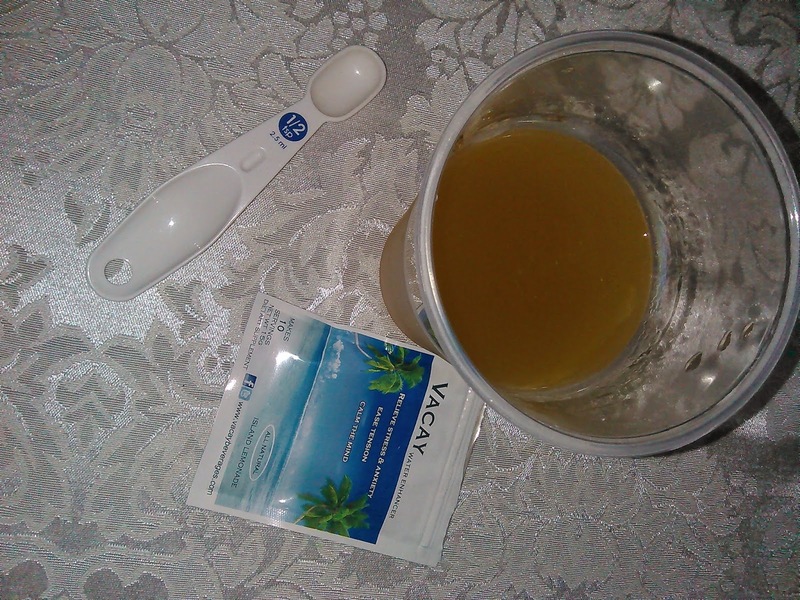 Vacay is an all natural drink mix meant to do just what I've been looking for. Now, I'm pregnant at the moment, so I do not use anything other than what my doctor suggests. However, before I was pregnant I did use Vacay powder a few times. It's very easy to use. All you have to do is mix 1/2 a teaspoon (YES you read that right) into an 8 oz glass of water. I mixed it with half a bottled water, which is roughly about that amount. You pour it in, shake or stir till dissolved, and drink! I find it best to drink this when it is super cold, so make sure to chill the water before hand. I normally only drink water and unsweetened teas, with an occasional glass of cranberry juice so I'm not too used to sugary drinks. I actually found that I liked this best when I added even more water so that it wasn't too sweet. My husband thought it was just fine with the recommended amount of water though. I sat down to drink this and drank it slowly. I didn't feel anything right away, but after a while I did start to feel a little more calm and relaxed. The feeling was very light, but still noticeable. I was hoping it wouldn't make me feel exhausted like some drinks that are meant to relax me, make me feel. I think the reason that this product does not cause an overly-sleepy feeling is because it only has a few ingredients and they are natural. I also like that you only have to use a little bit each time and there are so many servings in such a little packet. Convenient because you can stash it in your pocket or purse. As I stated above, I no longer use this, but my husband does, and he likes to drink it, especially when he's had a long day at work. He says he also likes the "light" relaxing feeling as well. 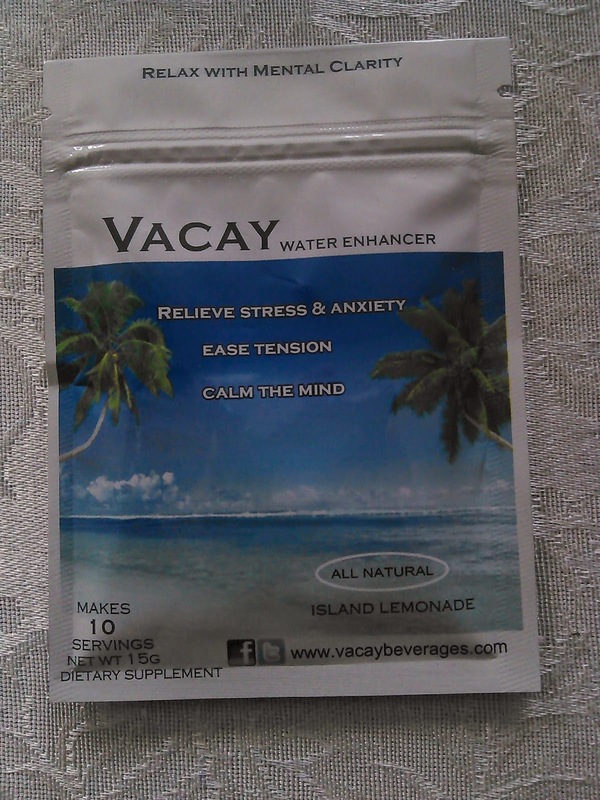 Visit Vacay Beverages Website to learn more about their product!